Italian footballing giants Torino FC have just taken delivery of their new Matchsaver Air Roller 8 (AR8) pitch protection covers. 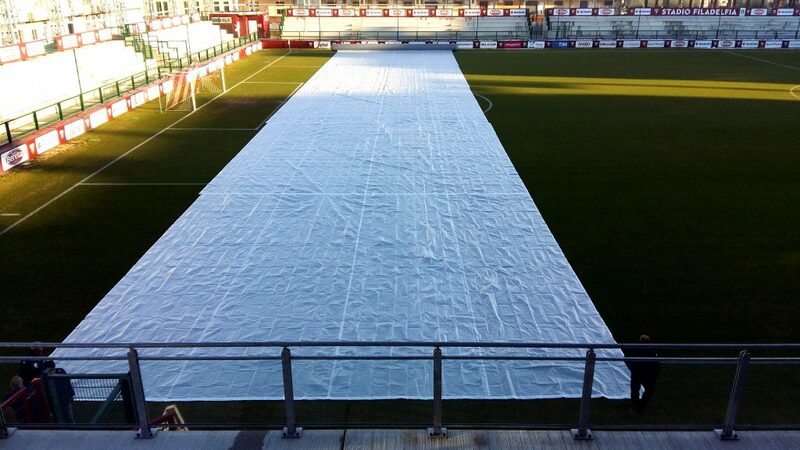 The covers will be used at the club’s Filadelfia stadium, the home of Torino’s new training ground. When required the AR8 pitch covers are laid out via 15m inflatable air rollers from side line to side line so helping to protect the pitch from rain, frost and snow. Torino are the first Italian football club to purchase the innovative AR8, however Matchsaver and Torino have a long standing relationship as the club have been using Matchsaver pitch covers at their various stadia for many years now. The AR8 is now used at many prestigious clubs across Europe including several English Premier League clubs. Contact Matchsaver for further details on all of Matchsaver’s products.